At the close of the fifteenth century Pewag began forging the quality chain upon which our worldwide reputation for metallurgical innovation and excellence stands today. Pewag is the global leader in the production of high-quality case hardened conveyor chain systems for abrasive service; products characteristically known for their exceptional wear resistance. In order to achieve this industry-leading criterion of quality, we engineer our line of fully integrated conveyor components to exacting standards that minimize wear and provide the greatest possible wear life. The performance of our chain systems is reflective of tireless cutting-edge research and development. This commitment to perpetual product improvement through an innovative spirit results in a company that truly derives its strength from the quality of its links. 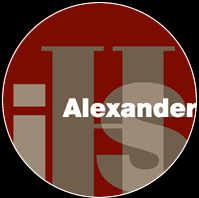 Copyright 2019 IHS Alexander, Inc. All Rights Reserved.